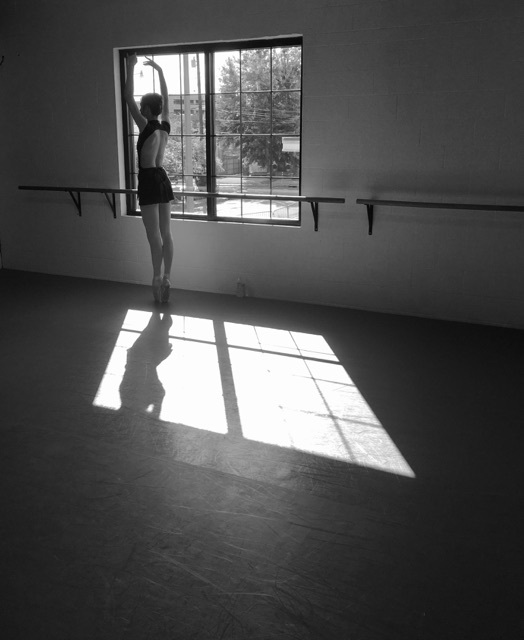 At the Ballet Académie, Gina Hanchey offers one on one training for various levels of ability ages ten through adult. These private classes are tailored specifically to the student. Whether beginner, intermediate or advanced you will get the training you need to improve. If it's a specific aspect you'd like to concentrate on such as turns, jumps, linking steps, pointe work, an overall focus on technique, artistic presence, or for a summer intensive you are hoping to gain acceptance to, Gina will help you get there. Gina also coaches for performances and competitions. If you are a student working on a show or competition piece or even a professional wanting feedback, Gina can help bring your piece to the next level. Even if you have never had a ballet class but always wanted to try, Gina can guide you through a basic private class tailored to you. Because she believes that ballet can be enjoyed by all regardless of age, ability, and whether you have performed on stage in front of an audience or only dreamed of doing so. Beginning students focus on the basic elements of classical ballet including body awareness and proper body placement, flexibility and strength, memorization and execution of simple combinations, the introduction of terminology, musicality, classroom etiquette and overall appreciation for dance. Intermediate and advanced students expand upon these building blocks, focusing more intently on alignment and muscle control, muscle development and toning, technique, style and execution and familiarity with various styles that exist in today's dance world. Combinations become more complex and advanced turns and petite and grand allegro are emphasized.